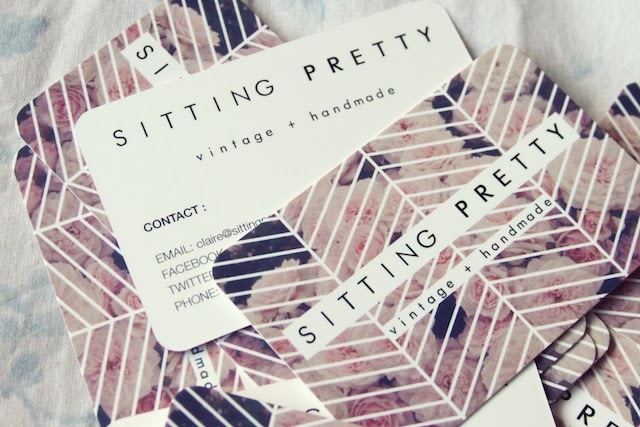 I’ve been on the look out for some new business cards for my side venture, Sitting Pretty Vintage & Handmade since Christmas when it started to take off nicely at the local vintage and crafts fairs that I do, but never really got round to getting them made. When the lovely folk at Moo asked if I’d like a set of theirs, I couldn’t say yes quick enough. 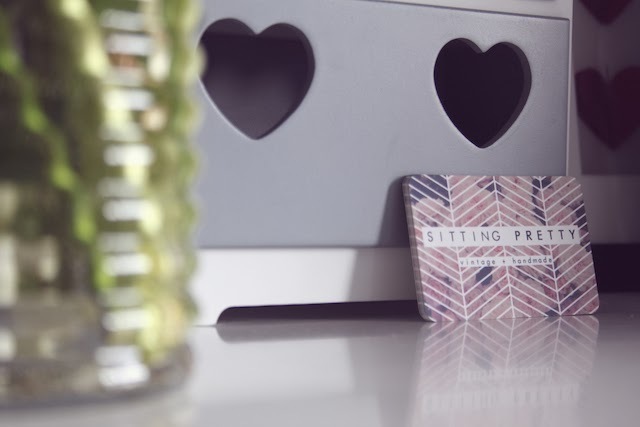 I’ve had Moo business cards in the past when I was in my final year at uni and was really impressed with the quality, so I already knew they were going to be brilliant. I wanted to redesign the branding for my stall a little as I wasn’t really happy with the fonts and layouts I was using, so decided to tie it in with my blog headers to keep a sense of uniformity, and played about with some imagery for a fun, floral look. Uploading the designs was really simple. I created my in Photoshop using the templates that you can download from the website, but you can also create your own from scratch through Moo, using a variety of designs, layouts and fonts available. The front of my cards was the design I made myself, and the backs were done using Moo’s editor to add the text. I added the rounded corners to my designs for a more unique look which I think ties in nicely with the kind of things I sell, and there are tonnes of other options to edit your cards, such as different finishes and card stocks, and you can also choose to have lots of different designs in one pack – super handy if you’re a designer or photographer and want to show off your portfolio! I can’t wait for the fairs to start again next month so I can show off these babies and start giving them out! I’m planning on displaying them in some sweet little tea cups. How very twee! 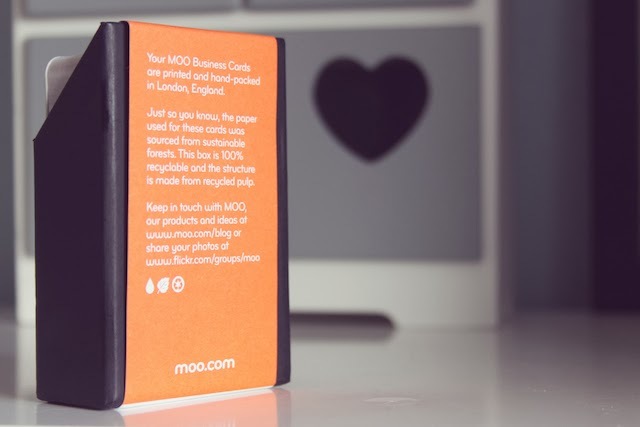 Have you used Moo before? What do you think of my lovely business cards? These are sooo cuteee! 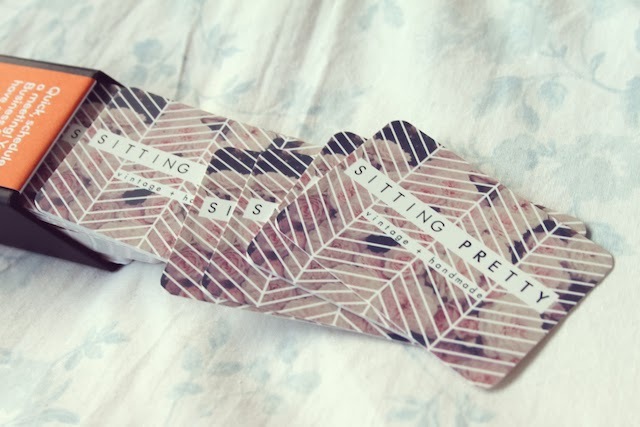 I need new business cards for my blog too!